We have updated our policy regarding lyme disease. Parents who have previously brought their children in for evaluation or concern regarding this illness might recognize this policy as a change from what they experienced before. 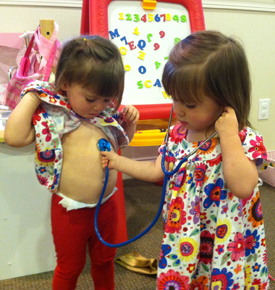 Our providers formulated a new policy based on reliable, current scientific evidence. After a careful review of all the available information, we are no longer offering prescriptions for patients on the basis of tick bites alone. Our reason for this is straightforward – there is simply no good evidence that preventative antibiotics for Lyme disease make any difference. No studies have made a convincing case that giving antibiotics lowers the risk of actually developing the disease. Given the risk of side effects and the growing problem of antibiotic resistance, it doesn’t make sense to prescribe these medications when we have no confidence that we’re actually preventing anything. What we will continue to do, of course, is treat patients who come in with symptoms suspicious for Lyme. Another big reason for this change is that Lyme disease is highly curable. After appropriate treatment, the overwhelming majority of patients have no further problems. We will not hesitate to prescribe the right medication if there is evidence to support its use. You may find information on the internet that causes concern about so-called “chronic Lyme disease.” This term is sometimes used as a diagnosis to explain vague, long-term complaints. There is no evidence to support the existence of chronic Lyme disease, and no reputable scientific body has found this diagnosis to be valid. While some providers have created a lucrative practice of “treating” this disease, there is no evidence that they are actually helping people, and some treatments may even be harmful. We do not treat people for this diagnosis, nor do we refer to other providers who do. More information is available at http://www.idsociety.org/Lyme_Facts/ or http://content.nejm.org/cgi/content/full/357/14/1422. Additionally there is no ‘screening test’ for Lyme disease. 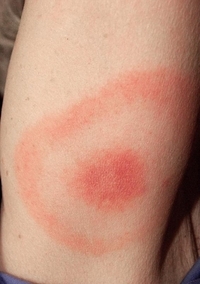 Lyme disease has a distinct group of symptoms associated with it. There may be times that your provider might order a blood test for Lyme disease (if we have a high suspicion of Lyme disease but the symptoms are not clear). We do not order these tests for patients who have no symptoms or because a family member may have Lyme disease. The interpretation of the blood test is used in conjunction with symptoms and is an unreliable test in patients without symptoms. The best way to prevent Lyme disease is to prevent tick bites, and to remove ticks as quickly as possible once one is on you or your child. (Ticks on for less than 24 hours have a very low risk of transmitting Lyme) You can do this by avoiding wooded areas, particularly in the late spring and early summer. If you do go in the woods, stick to the center of trails and avoid brush. Wear long pants and sleeves, and tuck pant legs into socks to provide a barrier. Insect repellants with DEET (at least 20%) should be applied to exposed skin and clothing after getting dressed. Remember to bathe children each day when using DEET and not to reapply (as you might with sunscreen). Any ticks that you find on clothing should be removed immediately, and skin should be thoroughly checked for ticks every day when spending time in the outdoors. For more information, please see http://www.cdc.gov/ncidod/dvbid/lyme/prevention/ld_prevention_avoid.htm. Lyme Disease is a disorder transmitted by the bite of a deer tick, which is classically followed by a rash spreading out from the site of the bite, then a flu-like illness with fever and malaise for about a week, then a period lasting from months to years of apparent wellness, followed finally by a severe chronic inflammation of the joints (causing arthritis), heart (heart failure), and sometimes brain (seizures, irritability, personality change). If caught and treated anytime before the onset of the chronic inflammatory stage it is fully curable. Treatment consists of antibiotics. Diagnosis is easy when a person presents with the classic rash, or when there is a well documented history of deer tick bite followed by illness. Diagnosis can be difficult in some cases, however, because not all people develop the classic rash and not all deer tick bites are noticed. While we do have blood tests for Lyme Disease, the tests are not perfect. Unfortunately, they yield both “false positive” and “false negative” errors often enough for us not to trust them as the sole diagnostic tool. It is important to note that the deer tick is much smaller than your common wood (dog) tick (which does NOT transmit Lyme Disease). A deer tick starts at the size of the head of a pin, and never grows much bigger than 2mm (less than 1/8th of an inch) even when fully engorged. Deer ticks in this area become much more prevalent as you move closer to the seacoast. Also, they do not bite right away, instead they like to crawl around on a body for some time to select the “best spot”. Thus, a good soap and water bath after returning from the beach or other high risk area is an excellent preventive measure. You don’t need to panic just because you find a tick on your child. Determine if you think it might be a deer tick based on it’s size. If so, then be on the lookout for a rash and/or flu like illness in the next few weeks. If either of these occur call our office for an appointment. Save the tick if possible so we can look at it and determine if it is a deer tick. We will also want to look at any rash your child has. Then we will need to decide if it’s necessary to test and/or treat for Lyme Disease.